Imagine the utter horror if someone took from England the four original 1215 charters of King John's Magna Carta, depositing them in a foreign museum, or absconded with William the Conqueror's 1086 Domesday Book. What about Stonehenge's monumental bluestones? If Abu Simbel and the Philae Temples could be moved, why not Stonehenge, transported piecemeal to some foreign shore? Perish the thought. And yet, Egypt's priceless treasures and cultural antiquities have been carried off by tomb raiders and charlatans (including aristocratic gentleman archaeologists) for centuries, many now installed in countless eminent collections, including The British Museum, The Louvre, Berlin's Neues and Pergamon museums and New York's Metropolitan Museum. Travelling in Egypt recently on Scenic's Treasures of Egypt journey, two facts are apparent. The first is the incredible richness of the country's antiquities. Egypt still possesses arguably the largest concentration of ancient wonders in the world – pyramids, tombs, temples, sculptures, jewellery, hieroglyphics, handicrafts and carvings. The second, darker, fact is found in the massive numbers of artefacts, representing Egypt's cultural heritage (and morally the property of Egyptians) that other countries have looted. And the pillaging continues. The illegal antiquities trade prospers, "wreaking havoc on the world's archaeological heritage," according to a National Geographic Magazine cover story by Tom Mueller. This is thanks to the unfortunate human desire to colonise other people's worlds, and steal their treasure and culture. National Geographic quotes University of Alabama at Birmingham Egyptologist Sarah Parcak, who pioneered satellite imagery to measure looting and site-encroachment damage. She found a quarter of Egypt's 1100 known archaeological areas have sustained major damage and, at the current rate, all sites will be seriously compromised by 2040. Egypt, along with the likes of India, Greece, Iraq and Turkey, has lost antiquities representative of its culture and history that many argue should be returned to the country of origin. Standout Egyptian examples include the Rosetta Stone, which holds the key to understanding Egyptian hieroglyphics. It is one of the British Museum's most important objects. The 3400-year-old bust of Queen Nefertiti is the main attraction of the Egypt collection at Berlin's Neues Museum. Every year, more than a million people gaze upon her beautiful face. Germany resists returning her, saying she is "the ambassador of Egypt in Berlin" and too delicate to move. Our Egyptologist guide, Salah Sholok, agrees that Egyptians are perhaps too sanguine about the loss of their treasures because so much of it still remains. "Egypt is not just for Egyptians, it's for all the world," he says, but some, it must be said, have taken this entirely literally. Former British prime minister David Cameron, for example, who simply says: "I don't believe in returnism." One could argue that, like precious artworks, the world is entitled to share the bounty through multinational museum collections. One could equally argue the opposite, as has a former Turkish culture minister: "Artefacts, like people, animals and plants, have souls and historic memories," he has said. Turkey, too, has suffered, as have other countries once subject to external powers. India, Pakistan, Iran and Afghanistan all claim ownership of the Koh-i-Noor diamond, one of the world's largest at 105.6 carats, now part of the British Crown Jewels. The British Museum also refuses to repatriate Greece's Elgin Marbles, part of the culture treasure of ancient Greece. In a breathtaking display of vandalism, Lord Elgin chiselled them off the Parthenon in the early 1800s. The British Museum has declined to return them, citing the lack of a suitable display location. That argument, however, is no longer valid. Visit Athens' new Acropolis Museum to see the magnificent display space with the same dimension and orientation as the Acropolis, awaiting the 2500-year-old sculptures. One of the Berlin's Pergamon Museum's most admired artefacts is the Babylonian Ishtar Gate, which Iraq would like repatriated. The Louvre has the famous Egyptian Seated Scribe from Saqqara and Egypt's Dendera Zodiac, a significant bas-relief from the Osiris chapel ceiling in Dendera's Hathor Temple. And let's not start on the obelisks dotting the world. Fewer than half of Egypt's obelisks remain in Egypt. 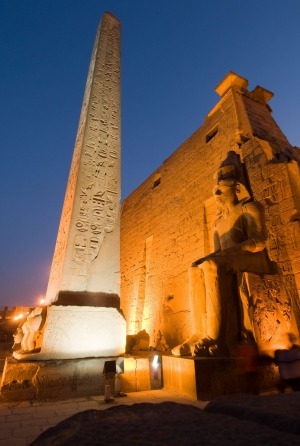 It's sad visiting Luxor Temple to see only one of the two obelisks, more than 3000 years old, that once framed the entrance. The other obelisk is in the centre of Paris' Place de la Concorde, shipped there in 1833 by the French king, King Louis-Philippe, a gift from Ottoman Egypt's ruler. He actually gifted both obelisks but the difficulty and expense of the first fortunately ruled out removal of the second. Bizarrely, France still claimed ownership of it until the 1990s, when former president Mitterrand renounced ownership as a symbolic gesture of goodwill to Egypt. Louis-Philippe, incidentally, returned the favour with a brass clock, which immediately stopped working. It sits at the summit of Cairo's Saladin Citadel. Gifting obelisks was a thing, apparently. Egyptian rulers gave away both London's and New York's Cleopatra's Needle. Anyone visiting Istanbul would have spotted the Ancient Egyptian obelisk of Pharaoh Thutmose III in the Hippodrome of Constantinople. So, who were the tomb raiders who flooded in after the discovery of the code-breaking Rosetta Stone in 1799, and continued throughout the 18th and 19th centuries? As we sail up the Nile from Luxor to Aswan, Sholok tells us about one of the more colourful – The Great Belzoni – a pioneer tomb raider, who ironically was as exploited as he was exploiter. Giovanni Belzoni, a tall Italian circus strongman managed to remove to England the colossal bust of Rameses II, known as Younger Memnon and Ozymandias to the Greeks. He also moved two seated statues of Rameses II from Luxor to the British Museum. Belzoni discovered the tombs of Amenhotep III, Ramses I, Merneptah and Ay, all in 1817. One of his greatest discoveries was the entrance to the tomb of Seti I, Rameses I's son, deep below the sand, which I am fortunate enough to explore. After this discovery, the tomb was called Belzoni's Tomb. Belzoni was also the first "Egyptologist" to enter the inner chambers of the second largest of the Ancient Pyramids of Giza, Khafre, making sense of the vast tangle of passageways. To his credit, Belzoni had a deep love of Egypt. He wrote a very early treatise on Egyptology, his Narrative of the Operations and Recent Discoveries Within The Pyramids, Temples, Tombs, and Excavations in Egypt and Nubia. Didn't matter – he was considered a pleb and, victim to British snobbery, he was exploited by the British consul general to Egypt, the ambitious Henry Salt. Salt used Belzoni's finds to build his own reputation. What became known as "Salt's collections" formed the core of the British Museum's Ancient Egyptian artefacts. Some believed the Victorians' 19th-century "pharaoh fetish" derived from a fear that just as the ancient Egyptian empire had failed, so, too, might Britain's. Possibly the most renowned find was that of the British archaeologist Howard Carter, who was known as "the last, greatest treasure seeker of the modern era". In 1922 he discovered the nearly intact tomb of the 18th dynasty king Tutankhamun, funded by the English aristocrat and Egypt enthusiast Lord Carnarvon. It's a privilege to visit the old Egyptian Museum in Tahrir Square and view the tomb's exquisite contents, including the gorgeous golden Mask of Tutankhamun. The old museum could only display about a third of the tomb's contents. The new Grand Egyptian Museum at Giza will have the space to display the tomb's complete contents – more than 5000 objects. Dark intrigue, however, surrounds the belief that all Tutankhamun's golden treasures remained in Egypt. Some claim Carter's team helped themselves. King Tut treasures have been identified in the Louvre, in museums in Saxony, Brooklyn and Kansas City, and the Metropolitan Museum has about 20 objects thought to be from the tomb. British Egyptologist Nicholas Reeves has written that 60 per cent of the tomb's small ornaments and jewellery were lost. The downside of tomb raiding gave rise to the "guilt and karma school" of popular film (The Mummy's Curse , Pharaoh's Curse  etc.). The message: opening a mummy's tomb might bring you riches beyond imagining but it might also bring you death. Poor old Lord Carnarvon's teeth fell out one-by-one during the Tutankhamun venture and he died from an infected mosquito bite shortly afterwards, sparking "the curse of the pharaoh" myth. Carter, however, lived on. Some countries are trying to do the right thing. By 2016, the US Immigration and Customs Enforcement had repatriated to Egypt more than 80 artefacts since 2007, including a mummified hand dated back to 8BC. Their ongoing operation is called Operation Mummy's Curse! 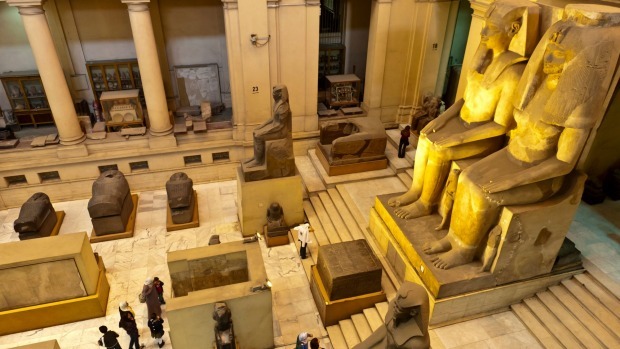 It is thought that Egypt's living museum still holds a vast trove of undiscovered antiquities. Sadly, while the treasures still lie hidden, the looters will come, undeterred by the curse of the mummy. Alison Stewart was a guest of Scenic.